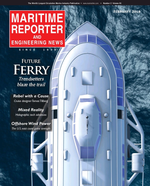 Marine Technology Reporter magazine is the world's largest audited circulation publication serving the global Marine Technology Market. From offshore energy to subsea defense to science and technology, MTR covers it all. Each issue is packed with the latest cutting edge technology from the industry’s leading companies, as well as exclusive insights and market analysis that are critical in today's subsea industry. 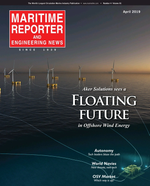 If it is subsea industry related technology you seek, you will find it in Marine Technology Reporter Magazine. 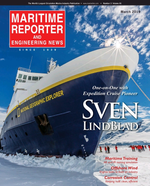 Maritime Logistics Professional magazine is published six times annually. The magazine evolved from MaritimeProfessional.com, the global maritime market's online connection for more than 29,000 executives. 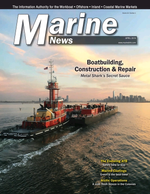 Each edition of Maritime Logistics Professional delivers insightful features, statistics and analysis, covering international trade, logistics, the supply chain and how all of that impacts the global waterfront.